Maff Brown began performing stand-up comedy in November 2005. 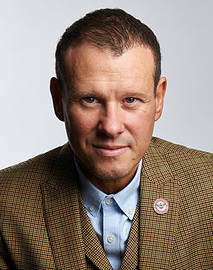 He is the founder and resident MC for Outside the Box, and is responsible for bringing comedians such as Jimmy Carr, Lenny Henry and Robin Williams to the club. Maff also tours with his own material and has had success everywhere across Britain and as far as America. When can I see Maff Brown?